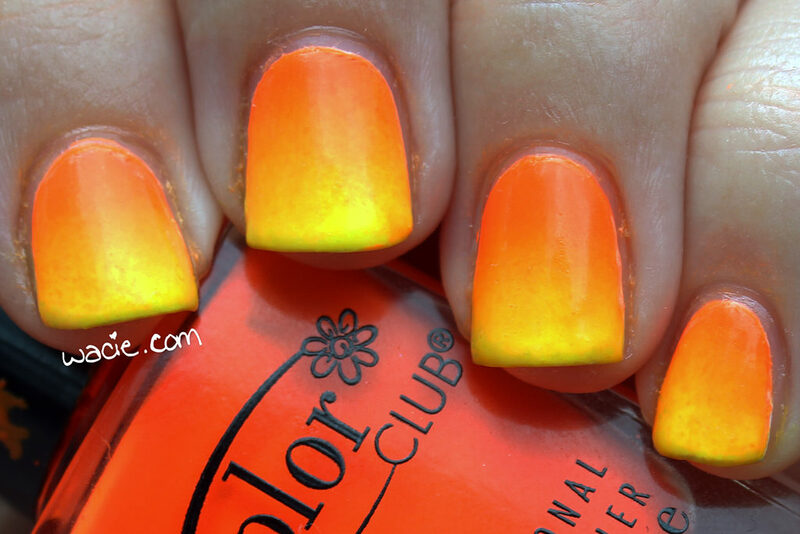 This entry was posted in Manicure Monday and tagged American Apparel, Color Club, gradient, nail art, neon, orange, yellow. Did you use a white base coat? I love how your gradient flows, even if it wasn’t exactly what you hoped for! I loved some of my American Apparel polishes back in the day but I think everyone tried to private label fast and it ended up being a disaster. I struggle so much with gradients on my shorter nails. But I do love this look! This is such a pretty gradient! I love the sunrise look! This is neon at its best. I love how you did the gradient. You sure can’t be shy when wearing these bold shades! Great summer gradient! I bet a good glitter topper would look amazing over this too! I love this! Gradients do seem harder on shorter nails for some reason, especially when you’ve become accustomed to longer nails. I love a good gradient! I love the sunrise reference! They really go look like one. This is such a fun summer manicure. You did a great job on the gradient.